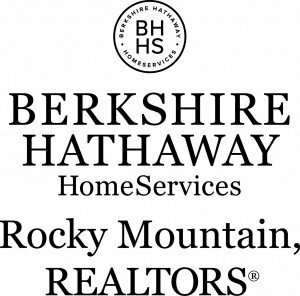 Preset search for homes for sale in Louisville Colorado from Realtor Bob Gordon. If there are no results on this page, there are currently no houses for sale in this price range. Try another search below. For a customized home search, contact Bob now. Or scroll to bottom of page to search by a specific price point. Wonderfully updated home..Minutes from Downtown Louisville. Over 10,000 Sq.ft Lot..Butcher block counter tops–Wood burning Fireplace-S.S.Appliances–Full size W/D included–Nicely updated full bath–Laminate flooring throughout–Spacious and open floorplan. Oversized detached garage/studio and storage building..Fully fenced yard..Plenty of sun exposure. New roof (2018) T.V. in living room included. Back the bus up as you give this circa 1975 home in a GEM location a complete makeover! Home being sold strictly AS IS-no exceptions. Easy to add a 4th BR in lower level. Newer hot water heater a little over one year old. On a quiet circle street backing to Walnut Park which is in process of transitioning to future City of Louisville open space – just blocks from downtown Louisville!!! *2018 tax represents a senior discount of $644 – without the exemption the tax for 2018 would have been $3,071. You will not be disappointed with this charming home in Louisville. Located close to Harper Lake, numerous trails, and an easy walk to Old Town this is small town living at it’s best. Stainless Steel appliances, washer, dryer, and window coverings are included. A new roof was recently installed and new siding to follow. Enjoy our Colorado evenings out on the new concrete back patio and see why Louisville is THE place to call home. Detached bungalow built in 1996 in the heart of old town Louisville. Great potential to upgrade, pop up or enjoy a simpler existence in a economical use of space. Close to local shops, bars, library, restaurants and schools. One block from the bus route. Easy drive to Boulder, Denver, Lafayette. You might also like to read about the night life in downtown Louisville. Or visit a popular local brewery. Thank you for visiting my site, please let me know if I can be of any assistance with your home search.